I waited too long to read this novel. 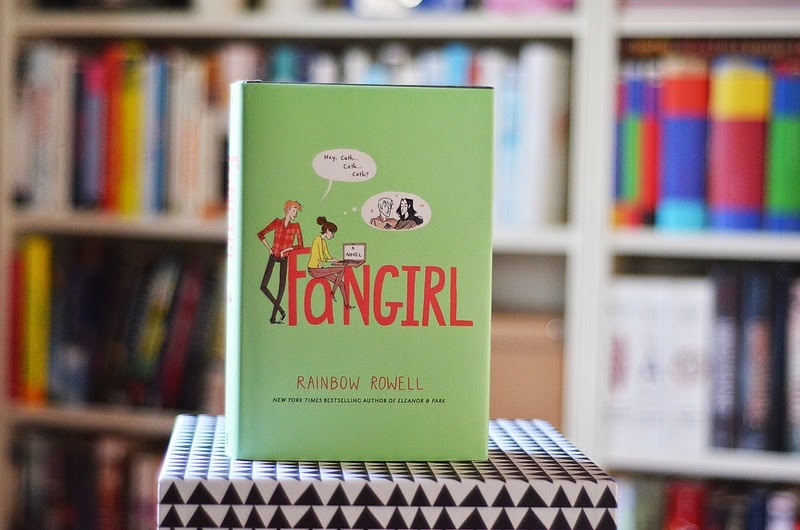 Fangirl by Rainbow Rowell is a life-changing book. I’m not saying that lightly. This book changed my life. The world needs more books like this one. We need more female characters like Cath. She’s a passionate young woman who loves writing fanfiction and doesn’t let her anxiety ruin her life. As someone who suffers from anxiety, I’ve waited my whole life for a book like this to make me feel normal. Cath’s thoughts and behaviors are all too familiar to me. Even though no official diagnosis is given, it’s pretty clear that she, too, suffers from anxiety. Throughout the book, however, it’s obvious that her fears don’t ruin her life. She’s able to enjoy her hobbies, make friends, and even fall in love. The anxiety never goes away, but she’s able to cope with it all the same. I can’t think of a single aspect of this book that I didn’t love. From Cath and Wren’s complicated relationship to the magical world of Simon and Baz, I didn’t want the story to end. A wild, lovely ride from start to finish, this book will sink its teeth in you and not let go after you’ve finished reading it. The next time you’re looking for a deep yet entertaining YA read, pick up a copy of Fangirl. You won’t be disappointed. Have you read Fangirl? What do you think of it?